‘Tis a gift to be simple, and Don Williams is c&w Christmas. Dubbed “the gentle giant” by his Nashville constituency and revered by rock stars like Eric Clapton and Pete Townshend, he sings spare, laconic songs of heart and home with the imperturbable modesty of a man who never raises his voice. Straight in every sense of the world – morally upright, poker-faced, drug-free, unimpeachably heterosexual – Williams projects a staunch (though unpushy) Puritanism, both in his musical austerity and in his conventional domestic romanticism. His courtliness places him in the tradition of polite country crooners such as Eddy Arnold and Jim Reeves; among today’s candidates, Jesse Winchester falls into that category, unlike Kenny Rogers, whose penchant for lurid, Peckinpah-ish soap operas belies his mannerly pose. And though Williams began his career as part of the pop-folk duo, The Pozo Seco Singers (best known for “Time”), his fiddle-and-pedal-steel-reinforced music places him in the country tradition rather than in pop. Actually, he’s almost as much a folkie as a country singer; he favors a stripped-down, acoustic sound that carefully distinguishes him from both Billy Sherrill’s hypercommercial c&w machine and the rock-oriented “outlaw” pack. 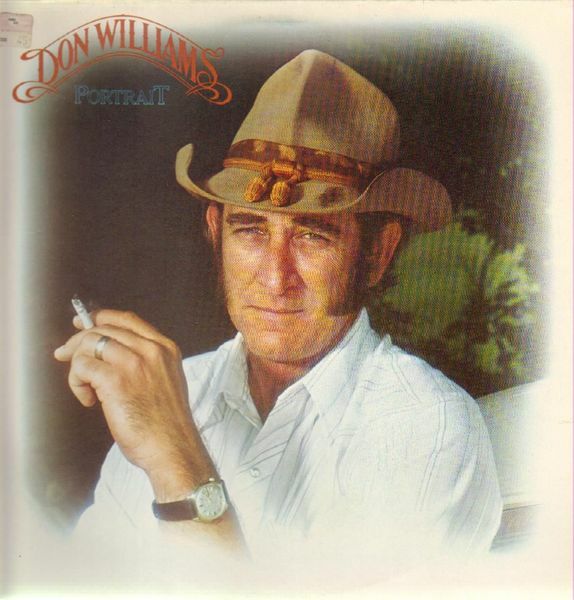 On his latest album, Portrait (his ninth, but not his best – 1977’s Country Boy holds that distinction), Williams places himself in the tradition of “those Williams boys…Hank and Tennessee.” It is difficult to pinpoint exactly which tradition it is that encompasses both Hank Williams and Tennessee Williams, especially when this unlikely pairing takes place in a song entitled “Good Ole Boys Like Me” (written by Bob McDill, as is much of Williams’ repertoire). Picking Tennessee Williams for the team signals a somewhat radical redefinition of “good ole boys,” an expression usually employed to laugh away drunken mayhem and yahoo idiocy (Easy Rider’s trucker-assassins, Hee Haw, Billy Carter). But I think that is what Don has in mind: redefinition. By invoking Hank and Tenn as superior specimens of Southern masculinity (for their art, certainly not for their life-styles) and adding himself to the list, Williams means to restore the good in “good ole boys” – a touchingly old-fashioned gesture, like tipping your hat. After all, a good man (as Blanche DuBois might have said) is hard to find. The songs Williams writes (and those custom-written for him) lack the colloquial purity of Hank’s classics and the poetic passion of Tennessee’s plays, but they do possess a particularly Southern and manly grace. They are mostly genteel romances in which the loved one is unmistakably his wife; songs about divorce and cheating – staples in the c&w canon – are vastly outnumbered by plain-spoken paeans to the everyday kind of everlasting love. Sound snoozy? It’s not. Williams’s warm, resonant tenor oozes an every-time’s-the-first-time sincerity that recasts corny sentiments into tiny triumphs of emotional directness (“You Get to Me,” “You’re My Best Friend”) and self-knowledge (“Amanda,” a devastatingly understated Bob McDill song about a scruffy overgrown cowboy who tells his much younger wife that she deserves better than him). And while his characteristic stance is profoundly moral, it is not moralistic; neither preachy nor self-righteous, Williams plays the ultimate Southern daddy offering unconditional love and forgiveness. The good life Williams sings about so movingly, in which love and happiness, marriage and parenthood, salvation and survival are all part of the natural order, is becoming a thing of the past; domestic bliss is still available, but the warranty has run out. So Williams’s music has the idealized, faintly nostalgic air of a museum display – “Family Life, circa 1980” – untouched by use. The best song on Portrait is “Circle Driveway” (written by Williams’s bassist Joe Allen), in which the singer reluctantly acknowledges his marriage’s demise (“I really can’t believe she packed my suitcase/I can’t believe that both her eyes were dry”) and wishes the family’s tract house had a circle driveway: “I’d just ride around and wave goodbye.” Living on his Ashland City, Tennessee, farm with his wife and two songs, and celebrating in song the kind of simple life even most c&w conservatives have given up on, Williams personifies the old natural order riding around and around a circle driveway, waving a long goodbye to the nuclear family.